Before many women even realize that they are pregnant, their unborn baby’s neural tube has formed and closed at both ends. This tube will become the baby’s spinal cord. When this process goes wrong, it can lead to spina bifida. Neural tube defects occur when the neural tube does not form or close properly during the first days of development. A myelomeningocele is a sac that protrudes from the spine. This sac contains spinal fluid, damaged nerve tissue, and meninges (the covering membranes of the spine). An encephalocele is a similar sac protruding from the back at the top of the neural tube. This sac contains spinal fluid, meninges, and damaged brain tissue. Anencephaly is the most severe of the neural tube defects. Most of the brain, including the cerebral hemispheres, fails to develop. Spina bifida refers to the failure of the spinal bones to close properly in the area of the sac. This also happens early in development. It is possible to have it without a protruding sac (spina bifida occulta), but it is not possible to have a myelomeningocele without spina bifida. Spina bifida is one of the most common birth defects. It does tend to run in families, but environmental circumstances also come into play. Radiation, chemicals, and drugs (especially anti-seizure medicines) can all increase the risk of neural tube defects. Inadequate intake of folic acid clearly increases the risk for neural tube defects. A newborn with spina bifida and a myelomeningocele will often look healthy and normal, except for the sac protruding from the back, usually at the base of the spine. 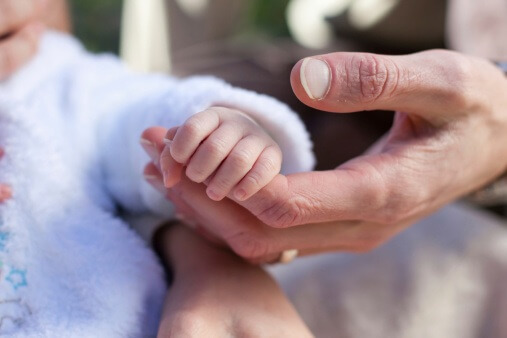 Most babies with spina bifida and myelomeningocele will develop other complications, including bowel and bladder problems, lower body muscle weakness or paralysis, decreased sensation, and hydrocephalus. Clubfeet, scoliosis, and congenital hip dislocations are more common in those with spina bifida. Developmental or learning problems are also common. Infections, including urinary tract infections and meningitis, are more common in affected children. While the sac can be closed and repaired, the damage to the nerves is permanent. This leads to ongoing health problems. Several forms of prenatal testing are available to look for neural tube defects. After birth, the initial diagnosis may be made based on the physical exam. Additional imaging studies, such as CT scans, are often performed to further characterize the problem. Management of spina bifida requires a coordinated team effort. The team usually includes neurosurgeons, orthopedic surgeons, urologists, pediatricians, physiatrists (rehab specialists), physical and occupational therapists, psychologists, and social workers. The initial treatment includes surgical repair of the protruding sac. Many also need a shunt to prevent or treat hydrocephalus. Ongoing management is important for the many possible associated problems. Special attention should be paid to the genitourinary system and to issues surrounding walking or other ways to get around. How can spina bifida be prevented? One of the most important preventive measures is to ensure adequate folic acid intake. The average American diet contains only about half the folic acid needed to prevent neural tube defects. To be most effective, supplementation should begin before the baby is even conceived. Women who might get pregnant or who are of child-bearing age should be on a folic acid supplement or be certain they are getting adequate folic acid in the diet.